Sponsoring MediaTech 360 provides endless opportunities for companies wishing to get brand visibility in front of leading names across the broadcast, AV and pro audio industry. We can provide various packages to suit your business needs, whether you take out the platinum package to have maximum visibility across all of the events, or you sponsor a webinar and focus on a certain topic. The AIB’s mission is to support, sustain, promote and protect its Members, wherever they are in the world, via a range of specialist services. 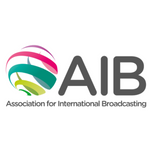 The Association was formed to support organisations that face unique challenges by virtue of their remit to broadcast to and publish in multiple global jurisdictions and cultures. Today, thanks to the rapid developments in distribution and accessibility to content, this includes almost every domestic broadcaster since their services have become available to international audiences. Our Members operate television, radio and online services in multiple languages that, every week, reach well in excess of one billion people in almost every country on the planet. NEP: Glass-to-glass managed services for live broadcast production, playout and distribution. Every day content creators, production companies, broadcasters and telcos rely on NEP’s glass-to-glass managed services. 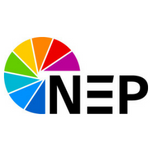 NEP provides the expertise, the people and the next generation broadcast IT facilities and cloud-based infrastructure to help its clients to develop and deliver the world’s biggest and best live broadcast events. With combined creative and IT expertise and by working together, especially with the client, unique workflows for the creation, management and distribution of content are developed. Tedial is a leading provider of Media and Content Management solutions designed to maximize business efficiency and profitability. Its multi award-winning Media IT platform, Tedial Evolution, provides global media companies and broadcasters next-generation MAM and business driven media workflow. 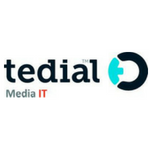 Tedial supplies the world’s only fully end-to-end IMF compliant MAM solution, marrying media preparation and logistics into a complete supply chain, and a single workflow “Version Factory” that delivers thousands of media version from a single asset. For 2018 Tedial innovations includes a Sports event tool that supports and extends production systems from industry leading vendors. Tedial Evolution is designed to reinforce a collaborative working environment and drive workflows for linear, VOD/OTT and live event services. Tedial is global company with consistently, successfully delivered large and complex MAM/Content Management systems. 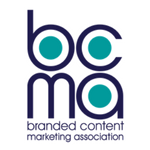 The BCMA (Branded Content Marketing Association) is the global industry body for branded content practitioners, run by practitioners, promoting best practice, sharing knowledge and growing the branded content industry. The BCMA promotes and grows the branded content industry in partnership with other relevant trade associations and industry groups, sharing best practice, researching, lobbying and managing events relating to our industry. We create the opportunity to connect with the leading experts in the branded content industry. The BCMA encompasses members spanning world leading brands, broadcasters, film-makers, studios, producers, advertising agencies, media agencies, digital agencies, publishers, gamers, platforms and music producers.